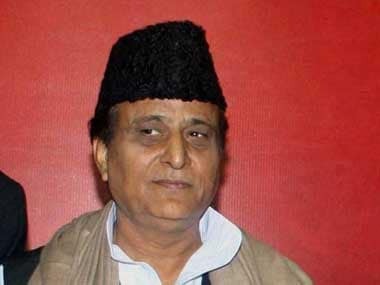 Lucknow: In what is being seen as a reconciliatory move, Samajwadi Party (SP) chief Akhilesh Yadav Thursday met his father, Mulayam Singh Yadav, with whom he has been fighting a bitter battle, and invited him to a party meet to be held next week. The SP chief went to his father's residence to invite him to the 5 October national executive meeting, party MLC Sunil Singh Yadav said. 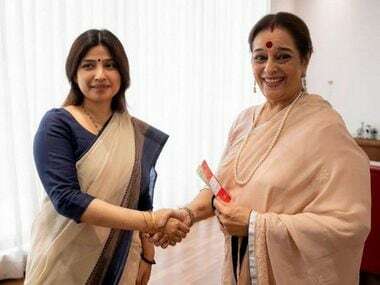 Though he did not elaborate on what transpired at the meeting — believed to be the first between the two in many months — it was being seen in the party as a reconciliatory effort by Akhilesh ahead of the crucial national conference. 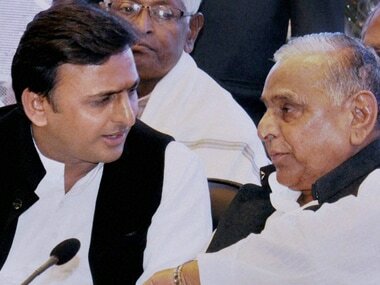 "Akhileshji met Netaji (Mulayam) to invite him for the meeting in Agra on October 5," the MLC told PTI. Mulayam and his brother Shivpal Yadav were not invited to the party's state executive meet held on 23 September. Speculation was rife in political circles that the 77-year-old former chief minister was likely to announce a new outfit at a press conference along with the virtually defunct Lok Dal, while retaining the 'Samajwadi' tag in its name. While Shivpal had said he would declare his future course of action on 25 September, a party leader said Mulayam did not read a press note at the press conference in which the formation of a new front was mentioned. "Netaji did not read the press note at the press conference. You must have noticed that Sharda Pratap Shukla (former SP MLA) was giving him a paper, which he did not read and said would read later. 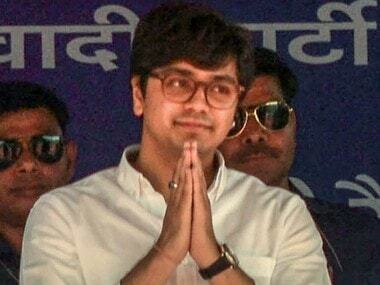 Now we will wait for the SP national executive meeting before deciding anything," Lok Dal president Sunil Singh, who has offered the SP patriarch his party's symbol and the president's post, said. Mulayam said he was not forming a party "as of now" at the crowded press conference, responding to a volley of questions from the media on whether he was leaving the party he had formed 25 years ago. 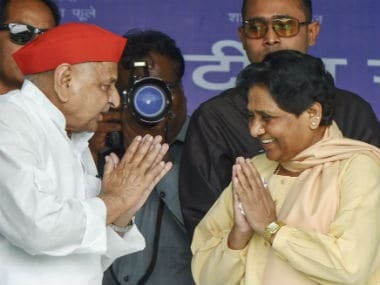 Despite the bitter battle for supremacy in the party, Mulayam had said, "My blessings are with him (Akhilesh Yadav) as he is my son, though I don't agree with his decisions". Akhilesh has sidelined Mulayam and Shivpal ever since he replaced his father as the party chief at a national convention here on 1 Jaunary. Mulayam had said his son had promised to leave the party president's post after staying at the helm for three months, but did not do so. "People who cannot stand up to their words cannot succeed," he had said. Mulayam had last week replaced Akhilesh-loyalist Ram Gopal with Shivpal Yadav as the secretary of the Lohia Trust. Shivpal had announced in June he would float the Samajwadi Secular Front "to fight communal forces". Taking full control of the party after being crowned head and alloted the SP's 'bicycle' symbol by the EC on 16 January, Akhilesh has been going full throttle, consolidating his grip over the party.